Retail workers and customers are at risk of injury or death during holiday sales events such as “Black Friday” at major retailers like Walmart. In 2008, a worker was trampled to death at a Walmart store in Long Island during the opening of a “Black Friday” sale as customers rushed through the door. In the wake of that death, OSHA has developed guidelines for retailers like Walmart to follow to make sure workers and customers are protected when crowds start showing up. In anticipation of Black Friday 2013, OSHA has sent letters to Walmart and other retail employers along with Fire Marshals and Chiefs advising them how to ensure a safe “Black Friday.” Walmart has been told what it must do to prevent worker injuries. Walmart associates should also know what is expected of their employer. The safest workers are informed and speak up for their safety. The OSHA Guidelines as well as a link to the letters to Walmart and safety officials are available online. Because union members tend to be educated about workplace safety, union workplaces are the safest workplaces! Now, The UFCW Occupational Safety and Health Office will be educating even more union members about staying safe at work with a new program that uses video technology to deliver safety trainings. UFCW locals that are interested are welcome to take part in the video trainings, which are easy to access and use. Check out the different safety trainings being offered below–if you’re interested, let your local know and have them contact the UFCW Occupational Safety and Health Office (202-466-1546) for details about how to sign up! Major repair jobs are often locked-out properly, but hurried machine adjustments or frequent unjamming can be a source of confusion, injuries and disciplinary action. This training session follows a step-by-step process to help operators, set-up people, machine cleaners and maintenance workers determine if that ‘’quick, little adjustment’’ requires a full lock-out or not. This training can also be helpful for stewards who have to deal with disciplinary action over Lock Out. This training is applicable to ALL workplaces. It is most useful for manufacturing, food processing, poultry and meat packing plants. How can we predict which jobs will injure workers and which jobs are safe? Participants in this training session will learn about some of the elements of jobs that cause ergonomic-related injuries. The training includes an opportunity to practice using a method that combines the effects of three of the most important ergonomic risk factors. This method can be used to evaluate most production-type jobs. Welders who work with stainless steel may be at risk for lung cancer. This training session reviews the hazards and OSHA requirements for plants where stainless steel welding is done. This series of workplace photographs helps union stewards, activists and safety reps develop an eye for finding workplace hazards. This training session switches the focus from blaming workers for safety hazards onto identifying unsafe working conditions as the true hazards. Many UFCW members work in conditions of extreme heat or extreme cold. Participants in this training session will learn about the possible health effects of these conditions, how the conditions can be documented and what can be done to protect workers. ‘’Long lists don’t get done!’’ This training session is for any union activist, steward, or safety committee member who is struggling to know where to start on their long list of safety problems. Risk Assessment is a systematic and logical approach to analyzing safety issues to place those issues in order of priority. Participants in this training session will explore the safety requirements for material handling equipment from pallet jacks to fork trucks. “The national settlement reached today between OSHA and Walmart resolves the highest penalties any individual Walmart store has ever faced as a result of health and safety violations – over $350,000. The problems detailed in the settlement are issues we have been raising for years, but it’s clear that the company has consistently failed to listen to our concerns, let alone address them. 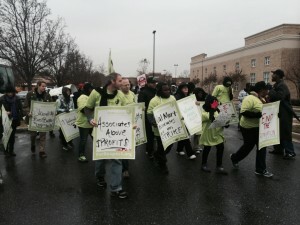 “This is just the latest indication of Walmart’s malfeasance throughout the supply chain, and these serious problems represent a major danger to workers, the environment, and the company’s future. As workers we routinely face inadequate fire safety measures, including blocked fire exits, and do not receive proper training on how to safely handle hazardous chemicals. Poorly maintained equipment, including balers and compactors, represent another hazard, made worse because these machines often lack appropriate mechanisms to ensure worker safety. The tragic poultry plant fire that killed 120 people in northeast China brought to light the horrors of unregulated and unsafe conditions and facilities for poultry workers. At the poultry plant, only one exit was unlocked as hundreds of workers stampeded for their lives in the dark. Locking emergency exit doors is a clear violation of Chinese laws and safety regulations – yet it still happened. Initial reports say that the fire appeared to have started from an explosion caused by leaking ammonia, a chemical kept pressurized as part of the cooling system in meat processing plants. Ammonia is a dangerous chemical that is found in almost every poultry plant and proper safety precautions are imperative. Despite plant managers knowing how dangerous ammonia can be – there was still a leak that lead to disastrous results. Many think that what happened in China is a problem that stems from poor worker safety laws in the Chinese system. Unfortunately, what happened in China is not a Chinese problem – it is a problem across the entire poultry industry. Violations of laws and safety regulations in poultry plants happen everywhere, including right here in the U.S. In 1991, 25 workers were killed in a chicken processing plant in Hamlet, North Carolina. When a fire broke out at the plant, workers were trapped inside because seven of the building’s nine exit doors were locked or blocked. Even though locking and blocking exits are violations of safety laws and regulations, those violations were never reported. The plant had never been inspected by safety officials in the 11 years it had been open. Because safety standards were ignored, the fire turned into the worst industrial accident in state history. The poultry industry’s history is marked by tragic plant accidents like the ones in China and North Carolina for a number of reasons. In the poultry industry, low safety standards and dangerous worksites are the norm. In an industry that is often based on aging infrastructure, dangerous chemical problems, and the under reporting of safety violations and accidents all contribute to perilous worksites and environments for workers. Poultry workers with a union on the job are empowered to report these kinds of violations to avoid serious accidents or injuries. That’s why it’s so important for workers to have a union voice. 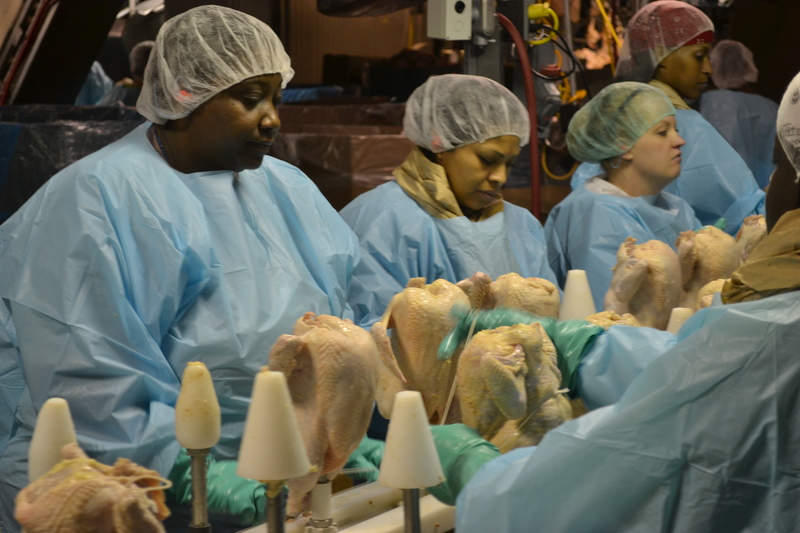 UFCW routinely trains poultry and meatpacking workers on how to spot these and other health and safety violations in their plants. Union members work together to address health and safety hazards to keep workers safe. Poultry companies need to be held accountable for the conditions in their plants. What happened to poultry workers in China can happen in any poultry plant. Because of the poultry industry’s low safety standards, all poultry workers from the U.S. and across the globe are at risk. Safety standards in the poultry industry must change in order to avoid more deaths and headlines like the most recent ones from China. 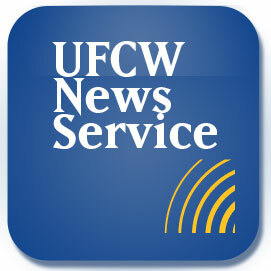 Last week, the UFCW submitted comments about a recent EPA action against 23 Tyson plants that use hazardous chemicals. The EPA recently fined Tyson close to $4 million and required the company to take extra steps to improve their ammonia refrigeration safety programs. While the EPA’s action is a step in the right direction, the comments pointed out that the settlement agreement failed to include the people who are closest to the problem – the workers who operate and maintain the refrigeration systems. UFCW members work in almost 900 different facilities across the country that use anhydrous ammonia for refrigeration. Although these refrigeration systems are covered by very strict environmental and safety standards, many of them fail to comply with these standards. The UFCW Occupational Safety & Health Office has an educational program available for any interested Locals to help determine if plants are in compliance and to help develop an action plan to protect members. 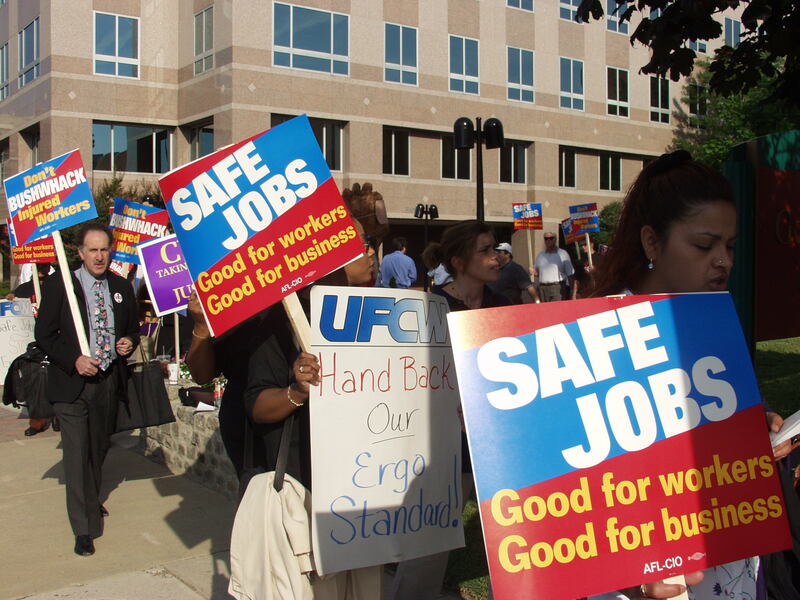 The UFCW Occupational Safety and Health Office will continue to fight for workers and their representatives to be included in the process of improving and evaluating Tyson’s ammonia safety program. H&M has accepted binding building safety standards at Bangladeshi garment factories following the recent fire and building collapse that killed more than 1,000 garment workers in Bangladesh. 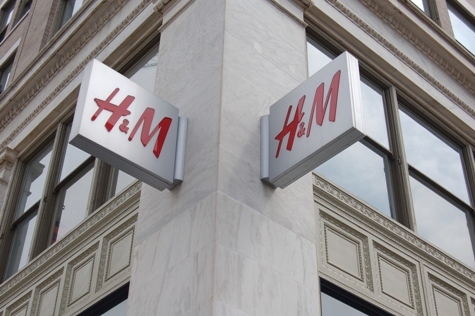 By signing the Accord on Fire and Building Safety in Bangladesh, H&M is taking the high road and putting people before profits at their supplier factories. 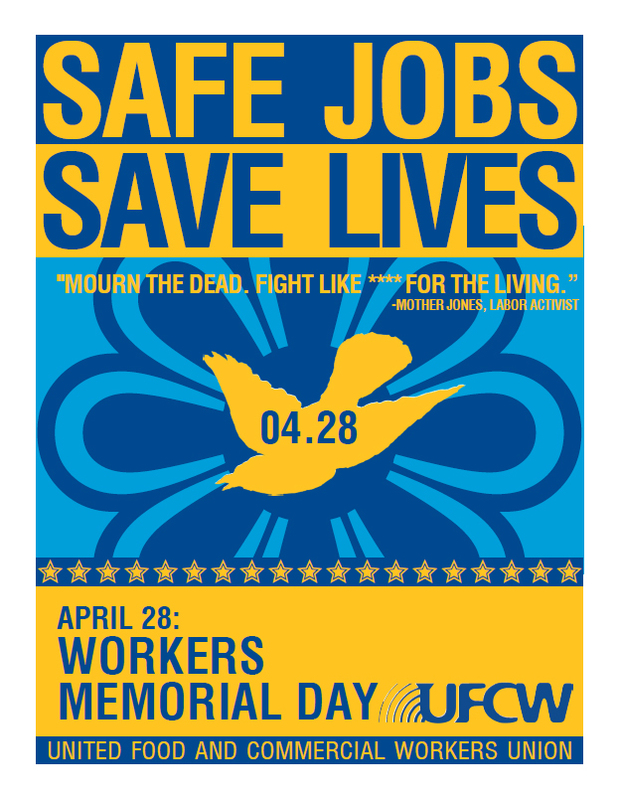 Thousands of UFCW members work in the retail industry, including at H&M, and the UFCW will continue to honor the workers who died or were injured in Bangladesh by supporting workers here and abroad who are struggling to protect their basic rights, and by calling on other retailers that have a strong presence in Bangladesh—such as Walmart—to do the right thing and sign this agreement. This Sunday, April 28th is Worker Memorial Day, in which we take time to remember and honor those who have lost their lives on the job. 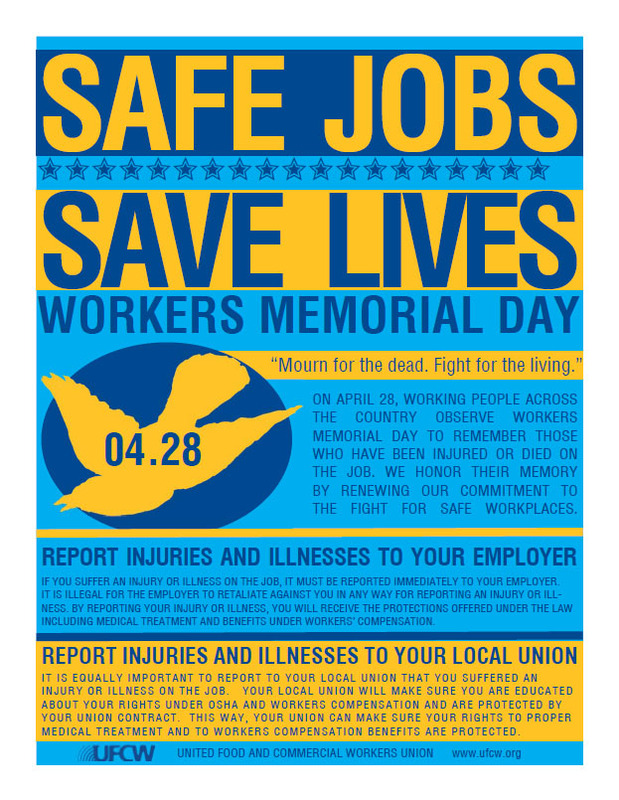 With the tragedies of the past two weeks fresh on our minds, this year’s Worker Memorial Day is particularly somber and offers us a chance to rededicate ourselves to the fight for safer workplaces. Last week, in West, Texas, a fertilizer plant exploded, killing at least 15 workers and emergency responders. The amount of deadly chemicals stored at the plant was thousands of times beyond the mandated limit, and inspections of the factory had not been performed in several years. This week, news of a collapsed garment factory in Bangladesh that has killed at least 300 workers saddened us all. Reports that cracks in the building’s foundation found yesterday were ignored and that management still forced employees to come to work are alarming. This incident comes only months after more than 100 workers perished at another Bangladesh garment factory, when a fire broke out and locked doors (done by management) trapped workers inside. Can you take a moment to sign the petition asking Prime Minister Sheikh Hasina and Minister Rajiuddin Ahmed Raju to Make garment factories in Bangladesh safe? Workers at a Nicaraguan Walmart supplier were recently physically attacked by a paid mob when they protested about being fired for trying to organize for a voice on the job. It’s time that companies stopped putting workers’ lives at risk in order to make a profit. The working people who make corporations successful deserve basic human rights, and deserve safe working environments. 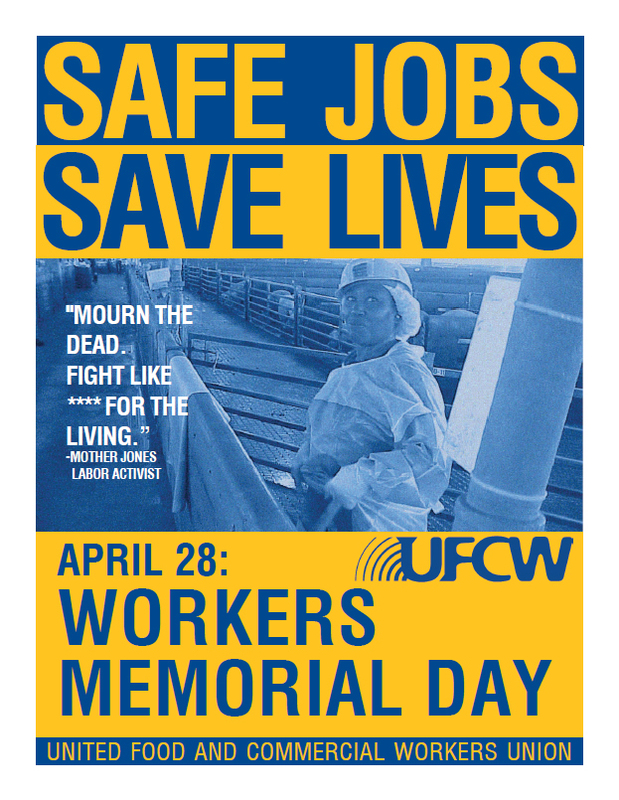 Take a moment to remember the victims of workplace fatalities, and help us continue to fight for worker safety. If you have a story of a friend or loved one lost or injured on the job that you would like to share, please send us a message on our Facebook page. Exactly one month ago, on March 4, garment workers in Nicaragua were brutally beaten during a peaceful protest when the company they work for – SAE-A, a Walmart supplier – paid a mob of more than 300 other workers to attack these employees, using scissors, metal pipes, and other weapons. This courageous group of workers is fighting to improve their working conditions, demand respect and win better wages. They are trying to form a new union, but in the process they are experiencing extreme retaliation. Workers have been bribed and 16 have been illegally fired in the company’s efforts to silence them. The brutal beating was the last straw. Sign the petition and tell Walmart to demand its suppliers reinstate the workers, end all violent and illegal practices inside the factory and reimburse workers for medical bills and stolen property that resulted from the violent attack March 4. More than 8,000 workers produce camisoles, T-shirts and lycra clothing for Walmart and other retailers at this one garment factory inside an export processing zone in Tipitapa, Nicaragua. They are paid less than $1 per hour. They are mistreated, regularly yelled at, denied trips to the bathroom and more. The Worker Rights Consortium, which monitors garment factories, conducted an investigation of the violent attack. Facts in this article and petition are taken from its report, which you can find here. The International Union of Foodworkers, or IUF, represents hard-working people in the food industry around the world. 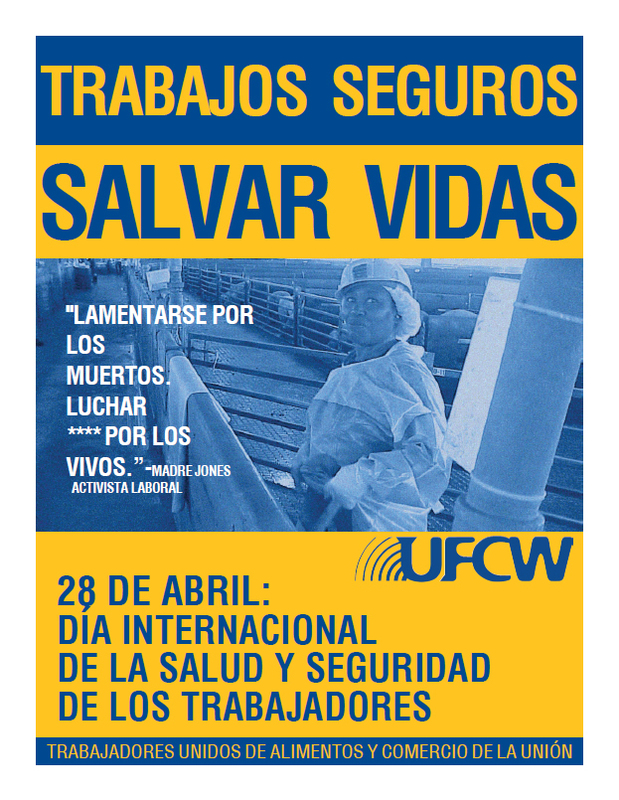 As one of the UFCW’s close allies in the fight for good jobs, the IUF needs our help. Many IUF union workers are employed by Mondelez International, a leading chocolatier, biscuit and candy maker, and gum manufacturer. Their brands include Cadbury, Milka, Oreo, Nabisco, Tang, and Trident, just to name a few. Despite being the world’s leading manufacturer for these products, Mondelez international has repeatedly shown that they do not care for the hard workers that make them successful. Ahmad Abdulghani Awad Abdulghani, 26 years old, worked at Cadbury Egypt, now a wholly-owned subsidiary of Mondelez, from 2008 to December 2011. He never had a permanent job, but was part of the army of precarious workers making chewing gum at the Alexandria factory. He lost half his thumb while operating a machine which should normally be run by three persons. Then he lost his job. This is the same factory management that sacked 5 union leaders in June 2012 following a spontaneous protest over the company’s refusal to pay a government-mandated private-sector pay rise. This is the same company whose management in Tunisia has dismissed and suspended union leaders and denies responsibility for these abuses. 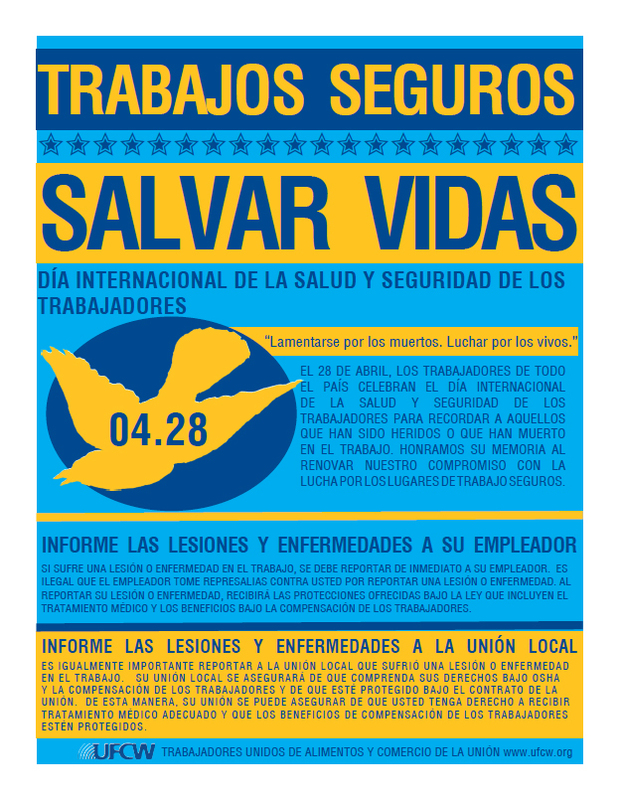 This is the company whose corporate management refuses to respond to communications to the IUF, the international union that represents these workers. 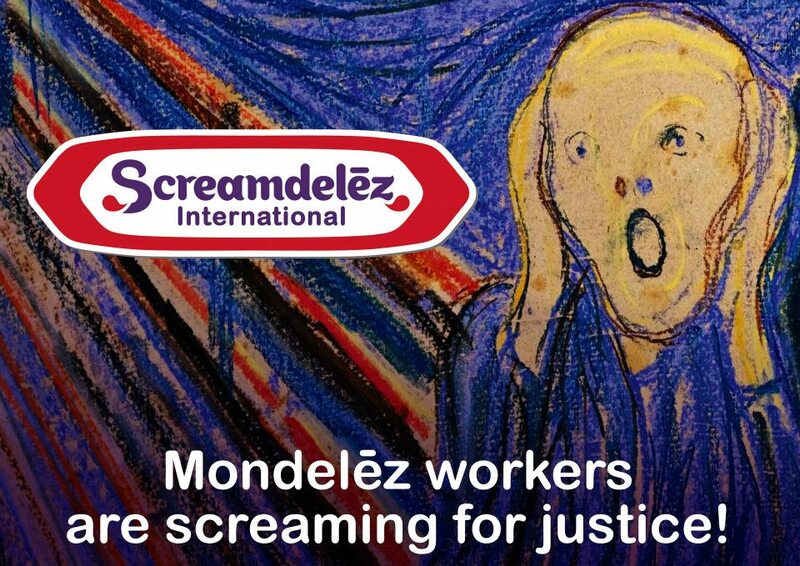 The IUF has therefore filed a formal complaint for violations of international human rights standards with the relevant US government agency – and has launched a GLOBAL CAMPAIGN in defense of its members at Mondelez in Egypt and Tunisia. 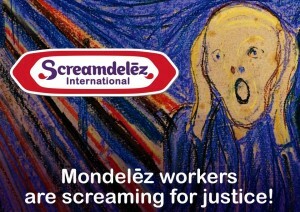 To learn about the campaign go to http://www.screamdelez.org – there you can learn more and download campaign materials for distribution to union members at Mondelez. Click here to send a message to Mondelez – tell them to make time to rectify human rights abuses and to meet with the IUF NOW! Also, please be sure to like the campaign facebook page. UFCW Pilgrim’s Pride poultry workers visited Secrectary of Agricultre Tom Vilsack, OSHA, and members of Congress to lobby for better wages and worker safety in the poultry industry. Last week, 12 Pilgrim’s Pride poultry workers from UFCW Locals 227, 455, 540, 1996, 2008, and RWDSU Mid-South Council traveled to Washington, D.C. to fight for changes in the poultry industry. Despite the financial success experienced by many poultry companies, poultry workers continue to earn some of the lowest wages and face some of the most dangerous workplaces in the industry. Pilgrim’s Pride workers especially are suffering. When Pilgrim’s Pride faced bankruptcy back in 2008, the company asked the workers to make concessions to keep their plants viable. Those workers with a union voice on the job were able to protect themselves from the most severe cuts, but had to sacrifice overtime pay and holidays to keep their jobs. The company is now posting record profits but the workers have not seen a raise in over two years, or had the overtime and holidays they gave up returned to them. And, Pilgrim’s Pride is holding workers up at the negotiating table and leaving contracts open. “We work hard and work full-time and we just can’t make ends meet on these wages. My entire community is centered around the poultry plant. When workers aren’t making decent wages, the whole community suffers because people can’t afford to buy anything,” said Brian Rush, a Pilgrim’s Pride worker from the Batesville, Ark., plant and a member of UFCW Local 2008. “On these wages, a lot of people can’t even afford to buy the product that they make. If a person makes $9 an hour and a box of chicken is around $60 – it all just doesn’t make sense,” said Carey Stanley, a Pilgrim’s Pride worker from the Live Oak, Fla., plant and a member of UFCW Local 1996. Pilgrim’s Pride traveled to Washington, D.C. on a mission to tell their stories and educate lawmakers and policymakers about what it’s like to work in the poultry industry. They visited and spoke with Secretary of Agriculture Tom Vilsack and his staff, ranking members of OSHA, as well as Senators Pryor, Kaine, Bennet, and Stabenow, and several members of the House of Representatives. 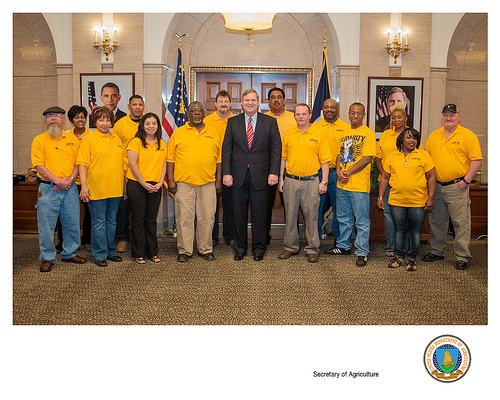 At the Department of Agriculture, members told Secretary Vilsack and key staff members about the struggles they face working full-time for a successful company that pays low wages. Workers also pointed out that Pilgrim’s Pride receives almost $75 million in government contracts, and is the second largest government poultry contract in the country. They argued that changes have to be made so that there is some balance and justice between company profits and worker wages. “I brought my W-2 and my last paycheck to show them that I work 40-hour weeks and last year I made only $18,000. I work hard, my family makes sacrifices, and we are struggling so much,” said Idalid Guerrero, a Pilgrim’s Pride worker from the Lufkin, Texas, plant and a member of UFCW Local 540. Workers then visited with Assistant Director of Labor for Occupational Safety and Health Dr. David Michaels, Chief of Staff Debbie Berkowitz and additional staff of OSHA. In their meeting, workers discussed safety issues on the job, including dangerous ammonia leaks, the lack of decent medical care at the workplace, and the company not reporting injuries to avoid any lost-time reports. The lobby day continued with workers visiting senators and representatives on Capitol Hill. There, workers educated members of Congress and their staff on the nature of the poultry industry, how workers are treated, and called for the necessary changes that the industry and union can make to turn poultry jobs into middle class, family supporting jobs. Workers also asked members of Congress to support a new federal study on the poultry industry in order to investigate further into worker wages and workplace conditions and bring the poultry industry issues to attention so that companies will begin to be held accountable and changes can be made.